Go Ice Skating – Centennial Olympic Park has opened their ice skating rink. Skate and enjoy their Holiday in Lights by walking around the park afterward. You can also skate at the Southwest Porch and Rink at Park Tavern in Piedmont Park. Piedmont Park is a fun place to people watch, have lunch or dinner, visit the dog park or stroll through the belt line. 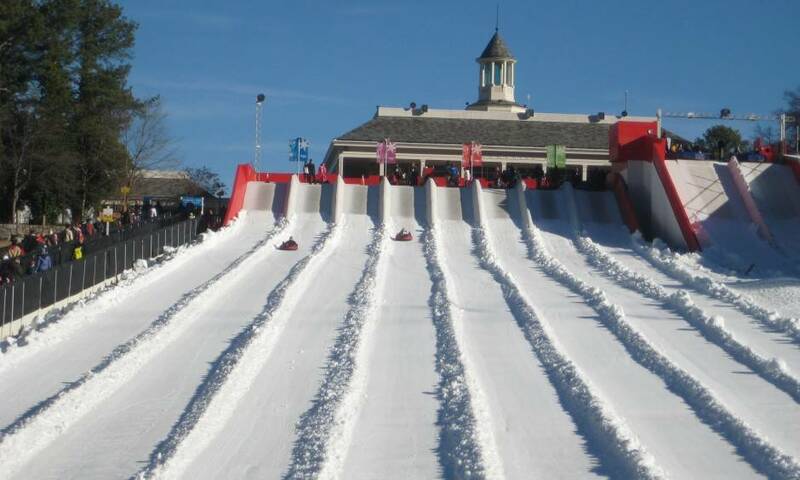 Find Some Snow – Visit Stone Mountain’s “Snow Mountain” for a fun day of tubing and sledding. No need to bring anything either, it’s all provided with the price of admission, and both kids and adults can participate. See the Lights – Lake Lanier Island’s “Magical Nights of Lights” gets you access to all of their beautiful lights, amusement rides, ice skating, a fire pit for roasting marshmallows, as well as the Holiday Village for shopping. Visit a Winter Garden – The Botanical Garden’s Garden Lights – Take a walk around the garden at night and enjoy dazzling light displays while sipping hot cocoa. Catch a Show – There are a variety of shows to watch all over Atlanta during the holiday season. The Atlanta Ballet performances run throughout the winter months. Well worth the visit. Atlantic Station activities include ice skating, movie theater, novelty shops, people watching, train rides, and more. The Center for Puppetry Arts is a fun and unique experience for kids of all ages. Enjoy the holiday with friends and family!